Promotional card for the game Nations. Included in Spielbox magazine, issue 5/2013. English and German versions, depending on the language of the magazine. Flamme Rouge: Meteo , a small expansion for Flamme Rouge , introduces players to weather phenomenons such as storms, side winds, and head winds. Promotional card for the game Nations. Included in the first printing of the game only, in English, German, French and Italian versions. Promotional card for the game Nations. Available through BGG store and selected events and campaigns. English version only. 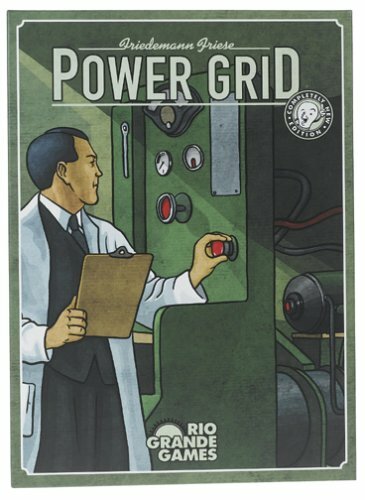 This promo card is part of the BGG special Dominion promotion. 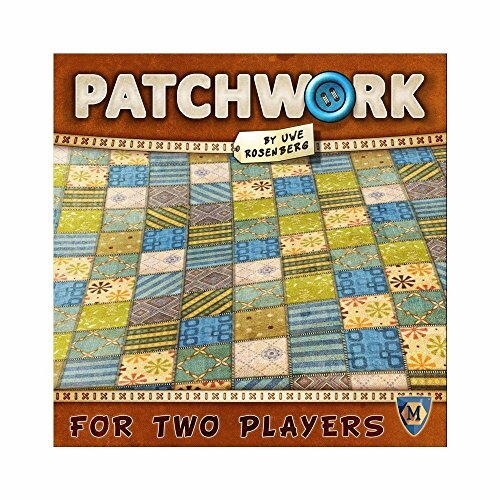 Its English edition was distributed along with the Envoy Promo Card beginning in March 2009 through The BGG Store. In Germany the "Schwarzmarkt" was distributed together with Spielbox 2/09. GiftTRAP won a special Spiel des Jahres prize in 2009, and was voted "Best Party Game of the Year" by Games Magazine in 2008, proving that while buying real gifts can be traumatic, giving virtual gifts to find out how people really feel is heaps of fun. Be prepared for some surprises! It's a conversation starter that will get you and your friends talking about things that matter. Unlike other party games you don't need skills in drawing, acting or trivia, so it works well when you have a crowd of mixed ages/skills. GiftTRAP is played over a series of rounds. Each round has the following steps: DEAL - deal random gifts from one of the 5 packs of gifts. Packs have similar monetary value. SHOP - think about how to match these gifts to the players. GIVE - give one of these gifts to each player (using gift tokens). GET - choose which gifts you want yourself (using get tokens: Ok, Good, Great & No Way). REVEAL - show people what you wanted and see what you were given by each player. SCORE - the giver and the receiver score for each gift (the giver gets GIVING points, the receiver gets GETTING points). The first to reach the end of both the Giving and Getting tracks is the winner. Introductory set for Wings of War - Miniatures. 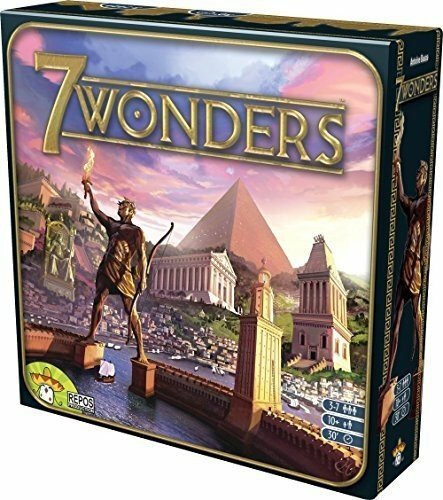 The Deluxe Set contains the basic rules, altitude rules, additional rules for bombing/strafing, several extra scenarios, two "A" and one "B" damage decks, a full set of player aids (4 game boards, many counters and 2 rulers) and the following 4 planes (including card, maneuver deck, and stand for each). The first edition of this set has not been released in English. In Topito , players manipulate the circus animals and workers — represented by giant wooden blocks — to complete objective cards in their hand. The game includes a number of circus rings in which activities take place, and on a turn a player adds a block to a stack or moves part of a stack onto another stack. If any player, whether active or not, has one of their objective cards met by this move, then they reveal it and draw a new card. If a player drops a block, they must discard a previously met card as a penalty. The first player to have seven cards in front of themself wins! The tractor beam: If a player has the tractor beam, enemy spaceships can't flee from combat with that player. The first edition of Eclipse: Rise of the ancients contained 5 misprinted tiles. Lautapelit sent out a correction sheet that contained the 5 corrected tiles. This expansion tile was included with those replacement sheets as a bonus. Carcassonne - Kreivi ja Kuningas (English: The Count & the King) is a compilation of three small expansions — The River II, The Count of Carcassonne and King & Scout — for the game Carcassonne. 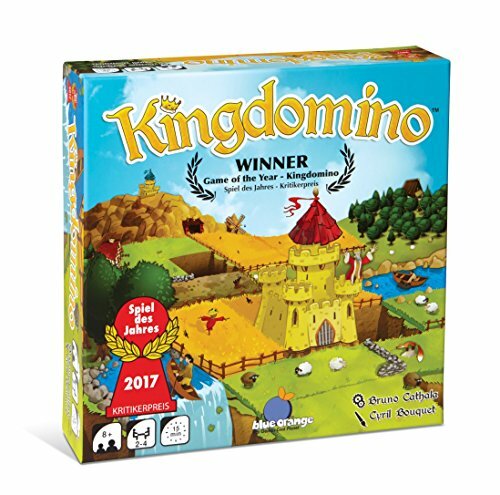 It was packaged in a standard-size Carcassonne expansion box and only released in Finland. It is a precursor to Hans im Glück's expansion Count, King & Consort which used the same compilation components but also including a new expansion, The Cult, and removed the Scout since that expands Carcassonne: Hunters & Gatherers. Nations Promo Pack 2014: Inspiration consists of six promotional cards for Nations : four progress cards and two event cards. Seven of the games that were important inspiration during the development of Nations are directly or indirectly referenced by these cards. Splash Attack is a fast reaction game in which players must quickly react to the roll of the dice. The game comes with several chunky wooden fish in three different colors, with three of each color of fish, each having a different design on them consisting of either squares, circles, or triangles. On each turn, someone rolls the two special dice. One die has colored faces, and the other die has shapes. Players look at the die roll and quickly grab the matching fish from the table! For example, if blue and square is rolled, you would want to grab the blue fish with squares on it. However, if a player already has the matching fish in his play area, the players yell "Splash Attack!" and grab the red piranha. If the player that already had the matching fish is the first to do this, he gets to permanently keep the fish as a point. If a different player is quickest, however, the player loses the fish back to the center of the table. Thus, you must be the quickest to react to a matching pattern twice in a row to score. The first player to score three fish wins! Forgetting something you saw only seconds earlier is one thing; remembering something that has never happened is the opposite experience. Both of these feelings come together in Déjà Vu , with players reacting to cards as they pass to grab repeated objects. In more detail, the 36 object tiles are spread out around the deck of cards. These objects are each pictured on cards in the deck exactly twice. The cards in the deck are revealed one by one, and if you think that an object on a card has appeared previously, then you can grab the corresponding object tile and place it in front of you. Are you sure of what you saw? You better hope so because if a newly revealed card matches an object tile lying in front of you — and an opponent spots that tile in time and identifies your false memory — then you're out of the rest of the round. Once you finish going through the deck, players score points for the items they collected. A total of three rounds are played, and with each subsequent round players might find it harder to remember exactly what they've seen. Was the object shown before, or am I thinking of the previous round? Whoever collects the most points after three rounds wins! The family game Schattenmeister creates tricky gaming fun and lots of challenges as players have to unravel a mysterious shape and divide it into its components. To do this, they must bring a keen eye and the power of deduction as it isn't easy when they are looking at silhouettes overlapping each other. Only little details are recognizable. But what do they depict? An ear, a wing, or a handle? The player who sees through the shadows and collects most points will be the Master of Shadows. The game consists of 12 different pieces constructed of right angled blocks so each piece is made of 5 "squares". (Think Tetris pieces, but 5 squares instead of 4.) An old version of the game had only 10 pieces; the completely straight 5 square and the 5 square "plus sign" were not included. Both versions also have a bunch of "filler" pieces of 1 or 2 squares. The gameboard is constructed with a movable divider so one can take sets of 4 up to the whole set of 12 pieces and form them into a 5 block by X rectangle. (Where X = the number of wood blocks in your set.) The two or three player strategy game is accomplished on a square board divided into 64 smaller squares. Players take turns to place a piece on the gameboard. The first player who cannot place a piece anymore loses. (Similar to Blokus) The two player puzzle game mode is accomplished by dividing the board into two sections, each player chooses five blocks and are also given 4 small "filler" blocks of 1 and 2 squares. The first one to fit all their blocks perfectly into their half of the rectangle board, wins.